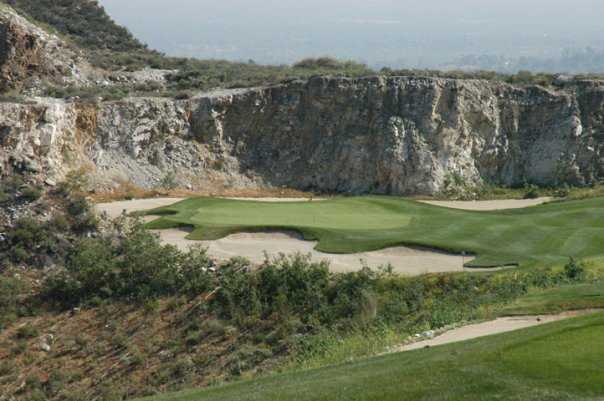 Oak Quarry Golf Club, Riverside, California - Golf course information and reviews. Oak Quarry Golf Club is a thrilling 18 hole championship course, masterfully designed by Dr. Gil Morgan/Schmidt Curley Designs. 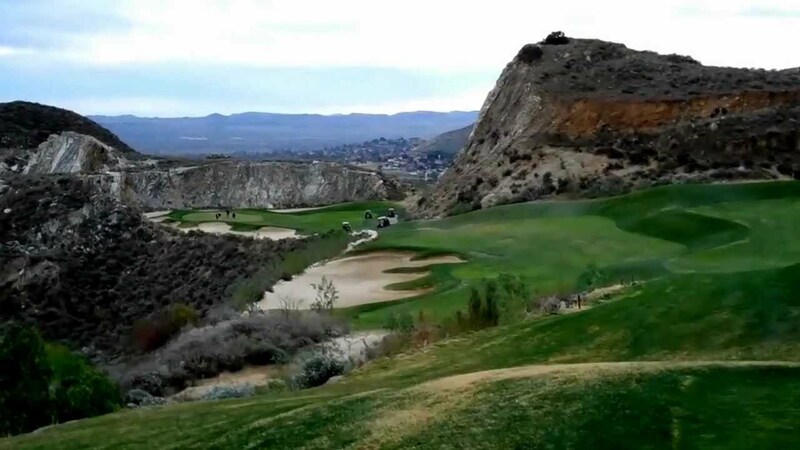 Majestically situated at the base of the Jurupa Mountains in Riverside CA, this picturesque course winds through the white-faced, jagged terrain of the renowned historical Jensen Quarry. 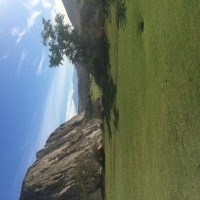 This unparalleled course opened in October 2000. 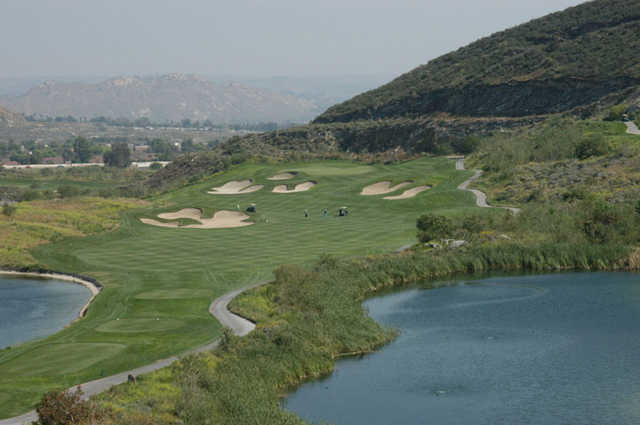 Since its inception it has received many awards including "Best Course Inland Southern California," "Hole #14 rated Best Par 3 in Southern California," "Hole #4 Prettiest Par 4." Oak Quarry is an upscale golf resort open to the public. This Par 72 Championship course features four sets of tee boxes to test every level of player. 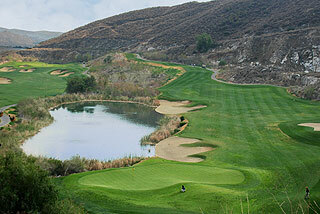 It offers the finest playing surfaces with greens in Pennlinks Bentgrass and fairways and roughs in 419 Hybrid Bermuda. It also features a practice facility with an all grass driving range with chipping and putting greens. The Clubhouse is open daily for full food and bar service. 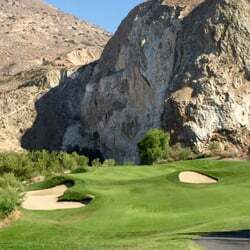 Add a course review for Oak Quarry Golf Club. Edit/Delete course review for Oak Quarry Golf Club.